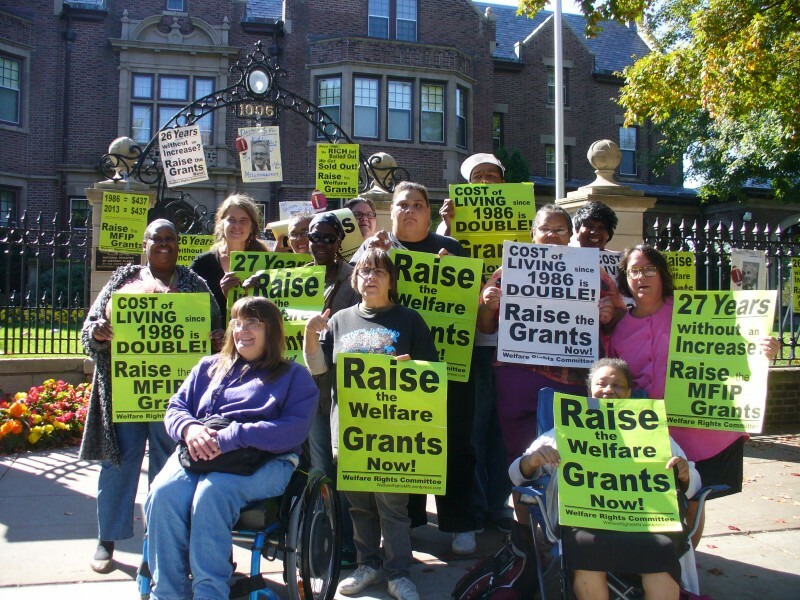 Footballs at the MN governor’s mansion: ‘Raise the welfare grants!’ | Fight Back! Saint Paul, MN - Members of the Welfare Rights Committee (WRC) ‘huddled’ in front of Governor Mark Dayton’s mansion Sept. 25. After a rally and speeches, low-income people hurled footballs over the locked fence. Written on streamers attached to the footballs were messages such as, “Help poor kids, not millionaires,” and “Raise the grants now!” Before they left, the protesters taped signs to the outside of the fence to hammer home the message. According to the Welfare Rights Committee statement, “Governor Dayton could call for increasing the welfare grants. He could make helping the poor his priority. Instead he gives millions of dollars to millionaires like Vikings Football team owner Zygi Wilf.” Wilf was recently found guilty in New Jersey courts for defrauding his past partners and ordered to pay damages of over $80 million. 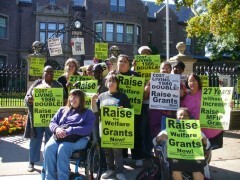 For info, check out the Welfare Rights Committee at welfarerightsmn.com or on Facebook at facebook.com/groups/104618039626888.